The vendors and agencies we include in our list below are the top Magento experts working in London. They strive and grow every day to bring good products and services to merchants which use Magento as an e-Commerce platform for their online stores all around the world. 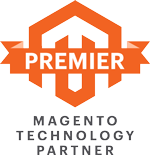 Magento experts work to design, develop, support and perfect Magento-based sites. Millions of issues are being solved everyday thanks to these enthusiasts. All the vendors in London have been working with many companies and organizations including from small/medium-sized firms to big businesses. Products are developed based on merchant’s needs and requirements with the best services regardless of your company size. Products and services offered by agencies in London below can be varied in pricing, depending on the what services, versions, editions and your requirements are. Normally, prices are reasonable and flexible for you to choose. 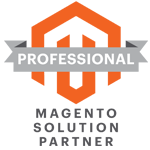 Avalara is a company that provides computational software for merchants, financial services providers, CPA professionals, and technology partners. 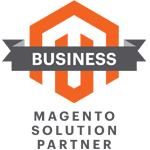 Avalara is established to offer the best products to bring to customers the best tax solution deals best in class and cloud. 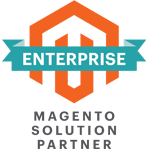 Being a partner with Avalara, you will have an excellent opportunity to enrich your relationship with your customers. Address: 100 Ravine Lane NE, Suite 220, Bainbridge Island, Washington 98110, United States. Address: 8 Lincoln's Inn Fields, London, London WC2A 3BP, United Kingdom. Address: 28720 Roadside Drive Suite 198, Agoura Hills, California 91301, United States. Address: 925 De La Vina St. Suite 102, Santa Barbara, California 93101, United States. Address: München Airport-Center Terminalstrasse Mitte 18, München, Bayern 85356, Germany. Address: 1 rue de la Haye BP 12910 – Le Dôme, ROISSY CDG cédex, Paris 95731, France. Address: Medius House LG 2 Sheraton Street, London, W1F 8BH, United Kingdom. Emarsys is a leading provider of marketing automation software in the world. It is the first marketing cloud for retailers and e-commerce. Emarsys was founded in 2000, which helps more than 1,500 customers in 140 countries around the world. Emarsys - North America, Inc. Address: 10 W. Market Street, Suite 1350, Indianapolis, Indiana 46204, United States. Address: 67 Rue Anatole France, 92300, Hauts-de-Seine 92300, France. Address: Stralauer Platz 34, Berlin, Berlin 10243, Germany. Address: No. 45C & 45D Boat Quay, Singapore, 049834, Singapore. Address: Focus Point, 1st Floor Regent Quarter, 21 Caledonian Road, London, N1 9DX, United Kingdom. ATTRAQT is a provider of solutions that helps retailers create new and differentiated products for their online store. ATTRAQT includes 2 products to enhance and expand the capabilities of the retail platform. Address: 3 Waterhouse Square 138 Holborn, London, EC1N 2SW, United Kingdom. Address: 125 South Clark Street 17th Floor, Chicago, Illinois IL 60603, United States. Address: Weesperstraat 61-105 1018 VN Amsterdam, Amsterdam, 61-105, Netherlands. Address: Level 1, 488 Botany Rd, Alexandria, NSW, 2015, Australia. Address: 5 Lachezar Stanchev Str Building А, Floor 6, Sofia, 1756 Sofia, Bulgaria. 2jcommerce is the Magento development agency with the specialisation in Magento Enterprise Cloud, B2B & B2C solutions for Brands/Retailers. Its offices in both in the UK and internation such as in India. Address: Tileyard Studios Tileyard Rd, London, N7 9AH, United Kingdom. Address: 114 Queens Road Beighton, Sheffield, S20 1DW, United Kingdom. Address: 82 King Street, Manchester, M2 4WQ, United Kingdom. Address: Mantri House Plot No.34 Extension Cement Road, Nagpur, 10, India. Address: The Digital Hub Digital Exchange, Crane Street, Dublin 8, 8, Ireland. With the worldwide offices, Alpenite will be one of the best service providers for customers to give e-commerce solutions, customize and integrate with the complex enterprises. Address: Via delle industrie 23/d, Venice, 30175, Italy. Address: Lassallestraße 7b, Wien, Wien 1020, Austria. Address: 38 Craven Street, London, WC2N 5NG, United Kingdom. Lab is a digital vendor whose winners have created a better customer experience. Labs have offices in London, Surrey, Croatia and South Africa that is why the company can meet the needs of customers around the globe. Address: B02 Archer Street Studios Archer Street, London, London W1D 7AZ, United Kingdom. Address: Ground Floor, Lynton House Station Approach, Woking, Surrey GU22 7PY, United Kingdom. Monsoon Consulting was founded in 2005 in Dulbin, Ireland. This is a supplier and support for ecommerce solutions. Monsoon helps B2C and B2B organizations in the retail, distribution and manufacturing industries maximize eCommerce opportunities through CX class mining with strategic and technology solutions. Address: 1, Terminus Mills, Clonskeagh Road, Dublin, Leinster 6 D06 VY62, Ireland. Address: Level 1, Devonshire House, London, W1J 8AJ, United Kingdom. Address: S- 23, Krishna Marg Shyam Nagar, Jaipur, RAJASTHAN 302019, India. Address: Castlewood House 77-91 New Oxford Street, London, WC1A 1DG, United Kingdom. Address: Curtis House 34 Third Avenue, Hove, East Sussex BN3 2PD, United Kingdom. Address: 14-18 Hill Street, Edinburgh, EH2 3JZ, United Kingdom. Address: York House, Suite 8B York Street, Manchester, M2 3BB, United Kingdom. Address: Sheffield Technology Parks Cooper Buildings, Arundel St., Sheffield, S1 2NS, United Kingdom. Lyons Consulting Group (LYONSCG) which is known as one of the leaders in global commerce service provider, which supports consulting, digital agency, systems integration, technology services, and managed services. Address: 20 N. Wacker Drive, Suite 1750, Chicago, Illinois 60606, United States. Address: 239 Kensington High Street Suite 111, London, W8 6SA, United Kingdom. 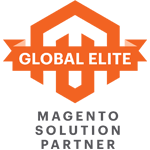 We are eCommerce web development experts, but more importantly, we are Magento Enterprise specialists who can help you achieve excellence in eCommerce. Address: 300 Wellington St. Unit 200, London, Ontario N6B 2L5, Canada. Address: 171 E Liberty Street - Unit 289, Toronto, Ontario M6K 3P6 , Canada. Youwe is a provider of Magento B2B e-commerce solutions such as PIM, e-commerce, mobile applications, integrated ERP and more to customers worldwide. Youwe has a rich experienced and professional staff. Our mission is to bring our customers the highest revenues and profits. Address: Aert van nesstraat 45, Rotterdam, 3012 CA, Netherlands. Address: Kabelweg 57, Amsterdam, NH 1014 BA, Netherlands. Address: Hoendiep 208, Groningen, 9745 ED, Netherlands. Address: 17 Panasa myrnogo, Kiev, 01011, Ukraine. Address: The Leadenhall Building 122 Leadenhall St, London, EC3V 4AB, United Kingdom. Address: 12 Golden Square, London, W1F 9JE, United Kingdom. Address: Albion Mills Albion Lane, Willerby, East Yorkshire HU10 6DN, United Kingdom. Established in 2004, Tryzens quickly became an expert in e-commerce, with the mission of being a science expert and selling online sales skills to clients. Tryzens includes professionals in the deployment and maintenance of e-commerce systems. Address: 101 Finsbury Pavement, London, EC2A 1RS, United Kingdom. Address: 3rd Floor M-Squared Annexe Building Technopark, Thiruvananthapuram, Kerala 695581, India. Address: 26 Cherni Vruh, Sofia, 1000, Bulgaria. Address: 401 Faraday Street, Birchwood Park, Warrington, Cheshire WA3 6GA, United Kingdom. Address: 2 Sheraton Street, Soho, London W1F 8BH, United Kingdom. Address: 1400 112th Ave SE Suite 100, Bellevue, Washington 98004, United Kingdom. SQLI was founded in 1990 and is a major European IT services company with 2000 employees. 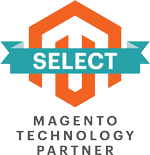 SQLI is a golden partner of Magento since 2008. SQLI provides excellent e-commerce services that help businesses generate great sales and achieve their business goals. Address: 268 avenue du President Wilson, La Plaine Saint-Denis, Ain 93210, France. Address: Lambroekstraat 5C, Machelen, 1831, Belgium. Address: Route d'Arlon 204, Strassen, 8010, Belgium. Address: Casanearshore 1100 boulevard El Qods Quartier Sidi Maârouf, Casablanca, 1100, Morocco. Address: Route des jeunes 12, Carouge, Genf 1227, Switzerland. Address: 8a Great Newport Street, London, WC2H 7JA, United Kingdom. Address: Office 4A The Planet Art One 32 Jamieson Street, Cape Town, 8001, South Africa.